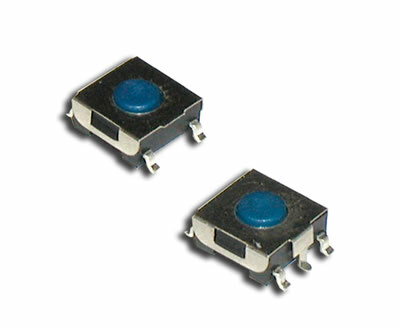 With a 6.2mm square body, the surface mount CS1109 tactile switch is available with a grounding pin option. Multiple actuator lengths range from 2.6mm up to 3.1mm. Actuation force is 160gF with .25mm actuator travel. If you want something with more terminal options, check out the SMT tact switch.